"To launch our first game on the Nintendo Switch is such a great honour"
If you're a fan of twin-stick shooters then you might be interested to learn that Dufgames is bringing Black Hole to the Nintendo Switch eShop early next year. 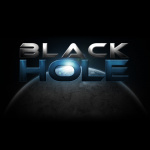 Originally released in 2016 on Ouya and Razor Forge TV, Black Hole contains 40 levels spanning across 4 worlds, each one ending in a hard-as-nails boss encounter. Three customisable ships are on offer, and the Switch version will make use of HD rumble, touch controls and motion controls. It will also gain a speed-run mode, leaderboards, and colourblind mode. It's expected in January, with a solid release date to be confirmed soon. Creating games has always been my dream. Many prototypes and unfinished games were made. But with Black Hole, I stayed true to myself and saw it through to the end, creating a game that I love and hopefully others will as well. And to be able to launch our first game on the Nintendo Switch is such a great honour, since I practically grew up playing all of Nintendo's consoles. "Originally released on Ouya" is not a very strong selling point. The graphics is making it hard to spot stuff. At the right price this looks like decent arcade diversion. Nothing wrong with that. It was feeling a bit generic, but then those insect things appeared and I decided I'll give it a second look when it's released. Sometimes the little games are easier to buy because I know I'll play them a bit, where I put off the big games (and buying them) until I know I have a solid amount of time to play, which hasn't been much lately. two words - "GEOMETRY WARS"
I played both of them and neither had upgrades? Depending on the price I might pick this up. Could be good, but it looks very cookie-cutter. Hope the bosses make it stand out.